Another picture from Roybridge Primary.This was given to me by Tommy MacGregor. Anyone got any idea of year? A lot of very familiar faces here,but also a few that I have no idea of- can anyone list them? Is that Willie in this one Helen ? I think he was much the same age as Tommy. Mum thinks these are correct! A real trip down memory lane! 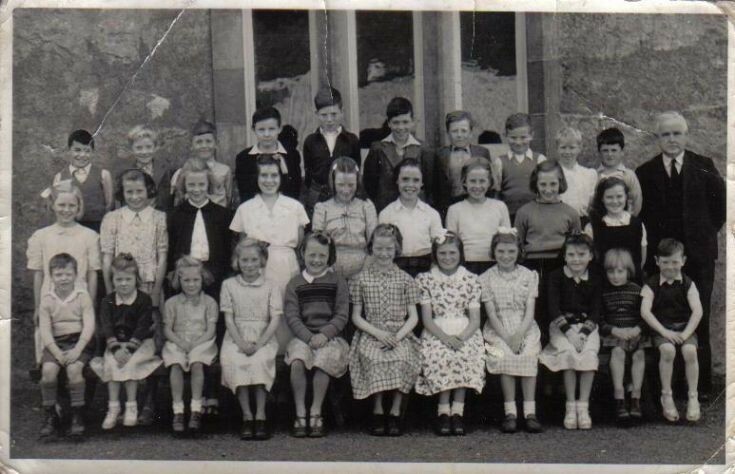 Think we may have a copy of this school photo in Bohuntin. Between Ishbel and I , we think all the names are correct, we recognise and remember all of the pupils from this era and walked to school with several of them. Just discovered this website from my son Andrew who lives in Birmingham. After his recent visit , he has been researching family history . Pure nostalgia!! Yes, that is my mother Katheleen (cathie) Coyle and my Aunt Fay. They recognize several of the children.....many boarded out up there as they were.